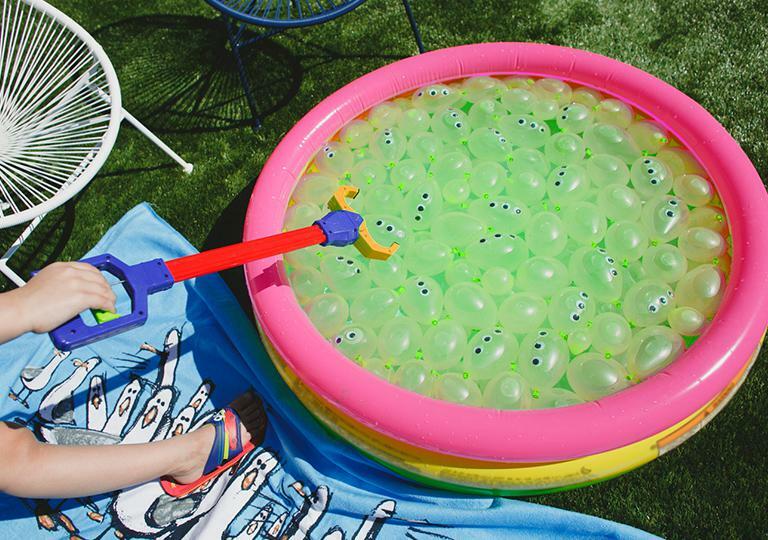 When temperatures reach infinity and beyond this summer, we’ve got the perfect solution: the ultimate Disney•Pixar-themed pool party; best of all, you don’t even need a pool! Three exciting crafts provide refreshment, entertainment, and charm, and because they’re so easy, there’s more time to just keep swimming. 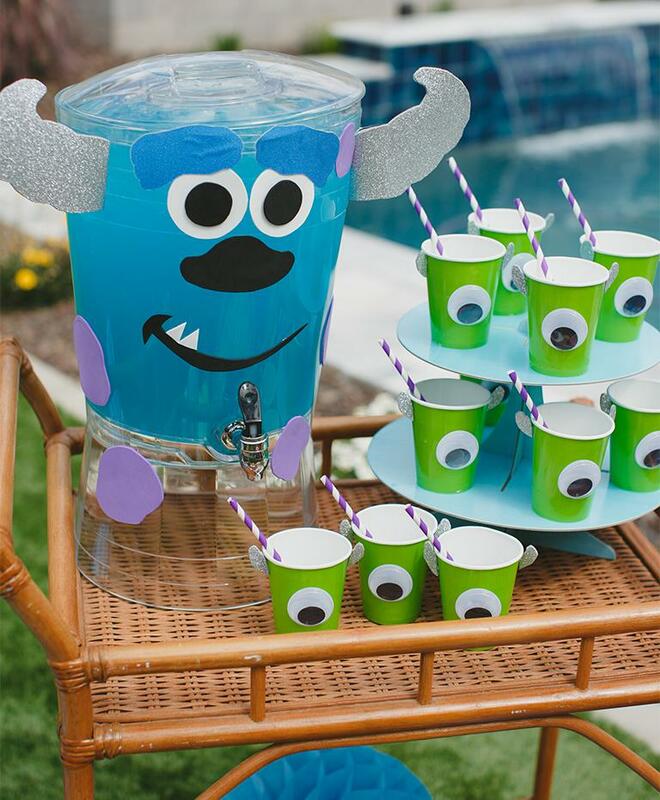 Follow these simple instructions and pretty soon you’ll be sipping Mike and Sulley’s party punch, launching a refreshing Toy Story rescue mission and enjoying your own Finding Dory reef. Let’s get started! 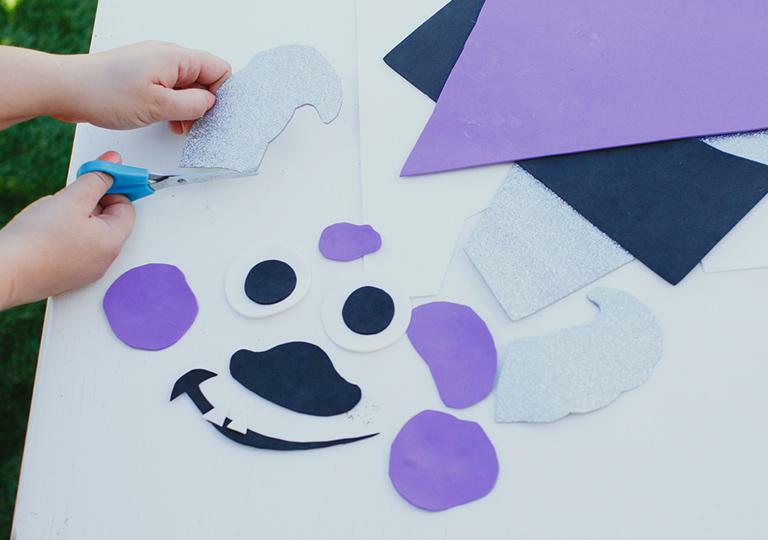 Using the provided Sulley templates, trace and cut out horns from silver craft foam; eyes, nose, mouth and teeth from black and white craft foam; and spots from purple craft foam. 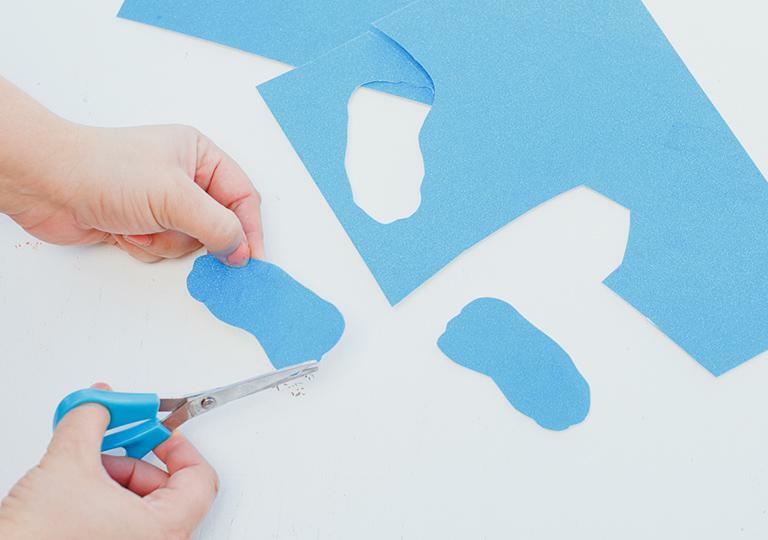 Trace and cut Sulley’s eyebrows from blue glitter cardstock using the template. 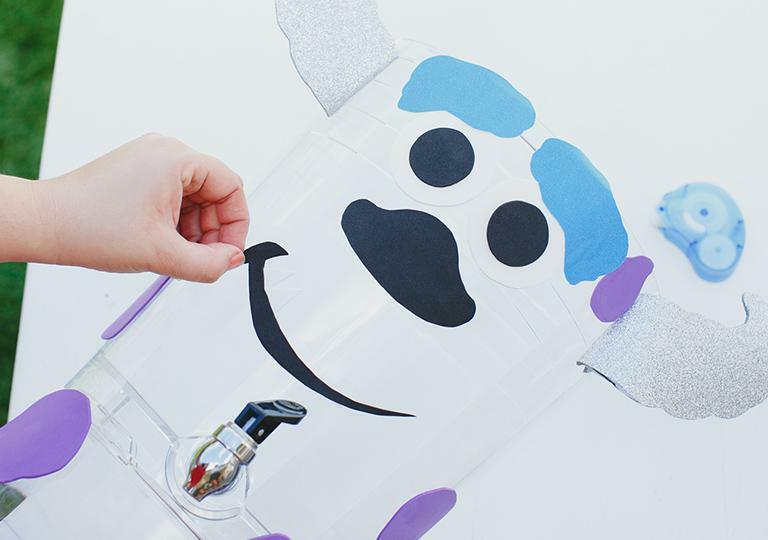 Adhere all cut-outs to the drink dispenser using removable glue dots. 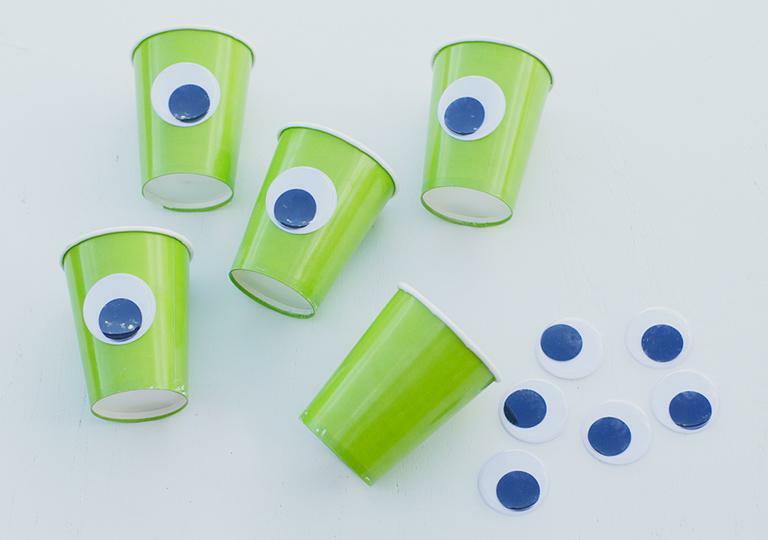 Gather green paper party cups and adhere a single, large, self-adhesive googly eye to each. Use the Mike horn template to trace and cut silver foam horns; adhere them to the cup with glue dots. 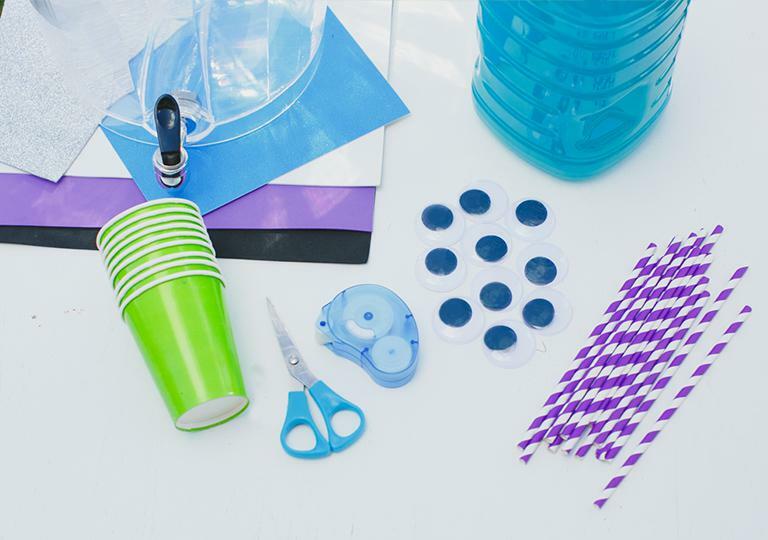 Add purple and white straws to the Mike cups, fill the drink dispenser with blue punch, and arrange at the refreshment table. Your monsters are ready for service! The Claaaaaaw! The Claw chooses who will win and who will lose. Put together a splashy game that keeps kids cooled off and entertained. 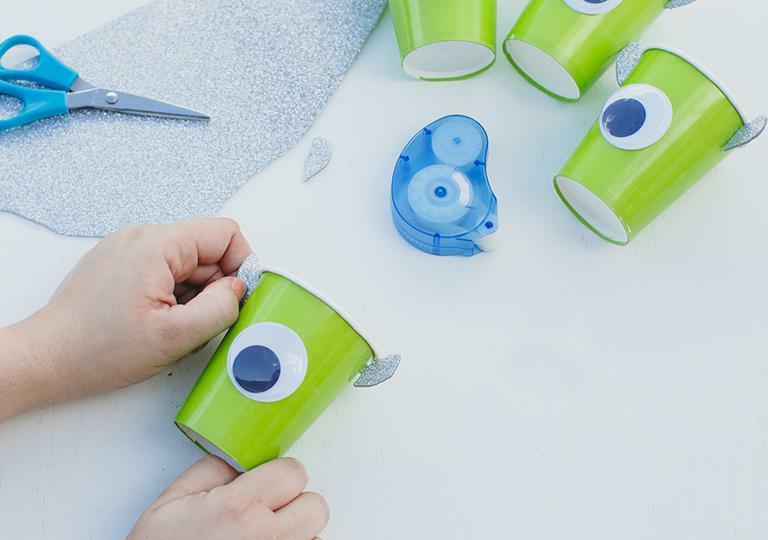 Fill green water balloons and apply stick-on eyes to make an alien swarm. Deposit them in an inflatable pool and then drop in a few Toy Story Wristbands. Give each kiddo a grabby Claw and challenge them to find the most wristbands…without breaking any aliens! Round out your summer party décor with an aquarium exhibit featuring Dory, Nemo, and friends. 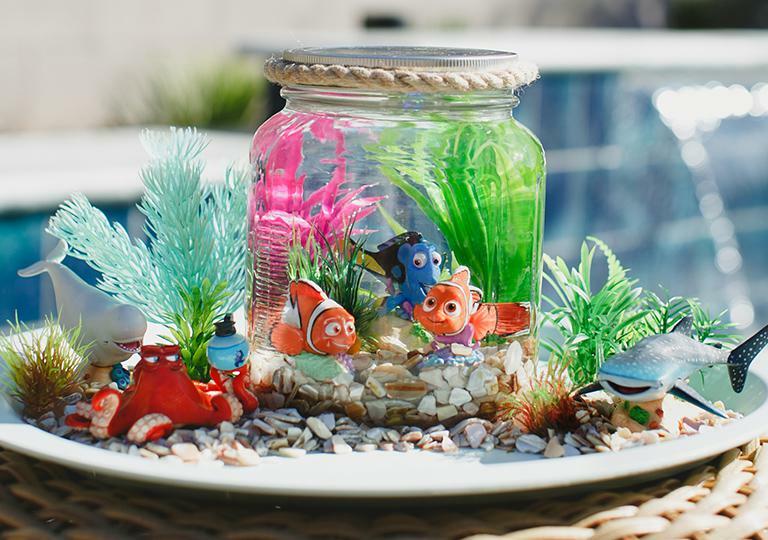 Line the bottom of a large jar with rocks, then fill it out with artificial aquatic plants and some figurines from Disney store’s Finding Dory playset. Add water tinted with blue food dye, then light it with a submersible LED to complete the look. Float past Disney store or dive into shopDisney.com to catch the perfect accessories for your poolside paradise, from playsets featuring Finding Dory and Toy Story to an entire Finding Dory party collection. And remember, as a Disney® Visa® Cardmember, you’ll enjoy 10% off select purchases at these locations.1 With perks like that, it gets a whole lot easier to take the plunge on everything you need to make your summer unforgettable. And don’t miss the long-awaited return of our favorite family of Supers from Pixar. Incredibles 2 opens in theaters nationwide on June 15.